One day a lovely lady walked into my store (figuratively speaking) wanting to buy a ring bearer pillow for her daughters wedding. 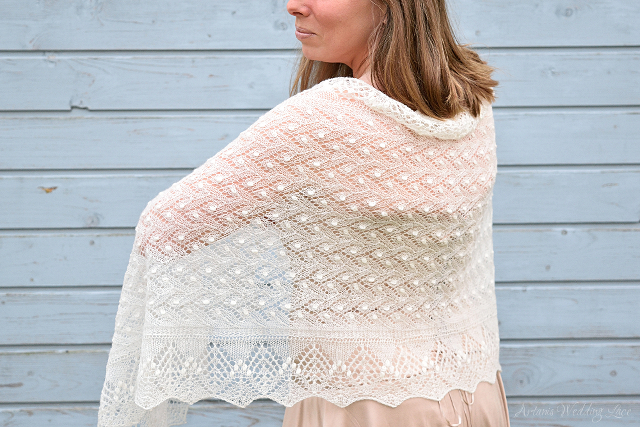 She loved what she saw so much that she ordered a shawl for herself. 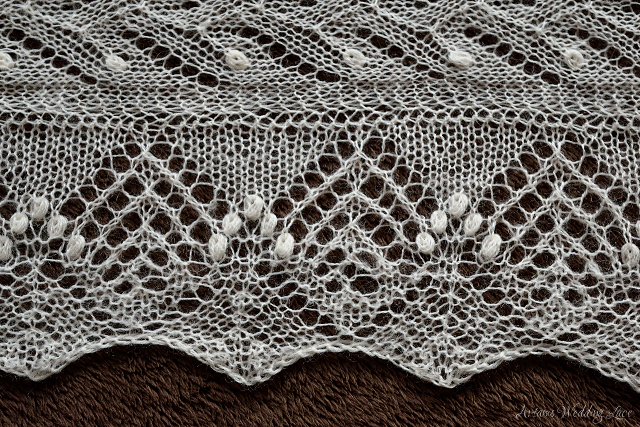 We hunted for the pattern and found one in one of the Estonian lace books that she loved and after making the changes into the pattern that she requested I started knitting. It was so good to knit, the natural white soft woolen yarn that I use just flew through my fingers because the pattern was so logical. 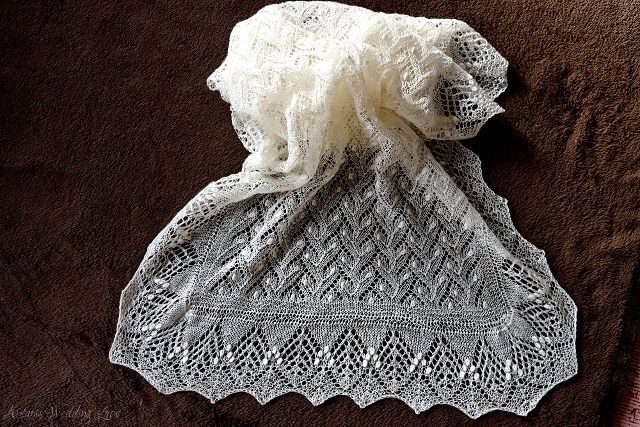 The lace edge is extra wide on it, almost like the lace edges on the big square Haapsalu scarves. 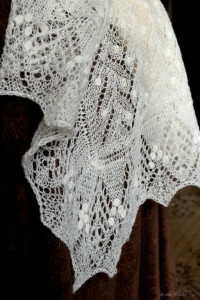 The end result was very beautiful, a perfect cover-up for weddings when you need something to warm you. 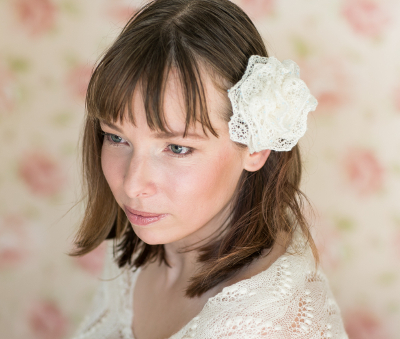 But also a great thank you gift to your mother, mother-in-law or your chief bridesmaid. 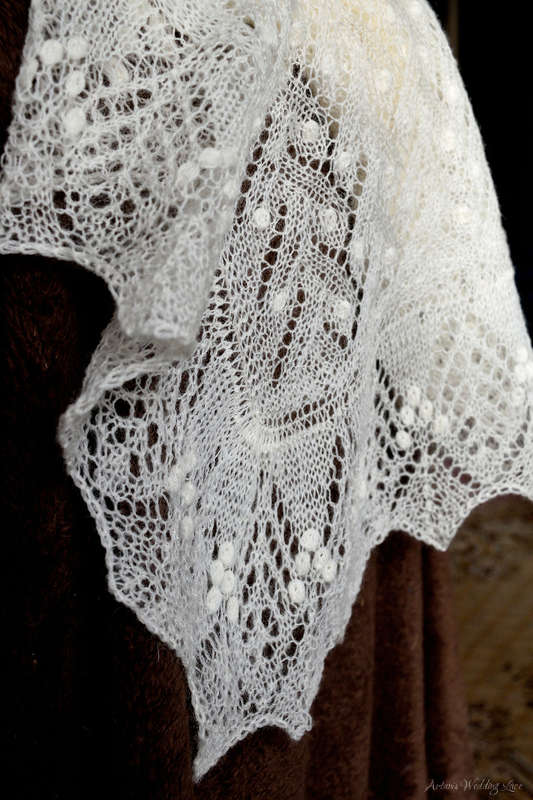 With it being approximately 60 x 170 cm this lace bridal shawl is perfect for wrapping around you and keeping you warm when you need it.